Dr. Tyrone W A Grandison is the Founder of the Data-Driven institute, which is a public health non-profit that helps communities and businesses transform raw data into insights, products, policy, and application. Dr. Grandison is also a 2018 Zhi-Xing Eisenhower Fellow. Dr. Grandison was the first-ever Chief Information Officer (CIO) of the Institute of Health Metrics and Evaluation at the University of Washington. Dr. Grandison also advises the Government of Jamaica on their Information Technology strategy - as a member of the National Information and Communications Technology Advisory Council (2016-18). He was the Deputy Chief Data Officer (dCDO) at the US Department of Commerce (2015-16), where he co-founded the Commerce Data Service - a data startup within the Department that supported its twelve bureaus - and led the successful rollout of its first 15 products. He was also a White House Presidential Innovation Fellow (2014-15) working with the US Department of Labor and the US CENSUS Bureau on their data and API (application programming interface) initiatives. He is also the CEO of Proficiency Labs International, which specializes in supporting organizations design, build and evaluate privacy and security solutions for their systems. He is one of the managing partners of METIS, Inc. - a services company that specializes in solving organizational problems. He co-founded woyhd.org, a service to help consumers determine the privacy awareness of mobile healthcare apps. He is the co-founder of Hipaantrepeneurs, a service to help healthcare professionals with compliance with healthcare law. He is one of the founding chairs of the Diversity in Privacy and Security Seminar (Di-PaSS) series, which seeks to increase the number of minority professionals and researchers in the privacy and security space. He is a founding partner of Wonder Women Hacks, which is a hackathon dedicated to increasing the number of women in tech, providing a support system for female technologists and helping to solve issues relevant to women. He is a founding partner of Hacks for Humanity (a collaboration with Arizona State University's Project Humanities), which seeks to develop technology to reconnect people to their humanity. He is also an Adjunct Professor at the University of Technology in Kingston, Jamaica. 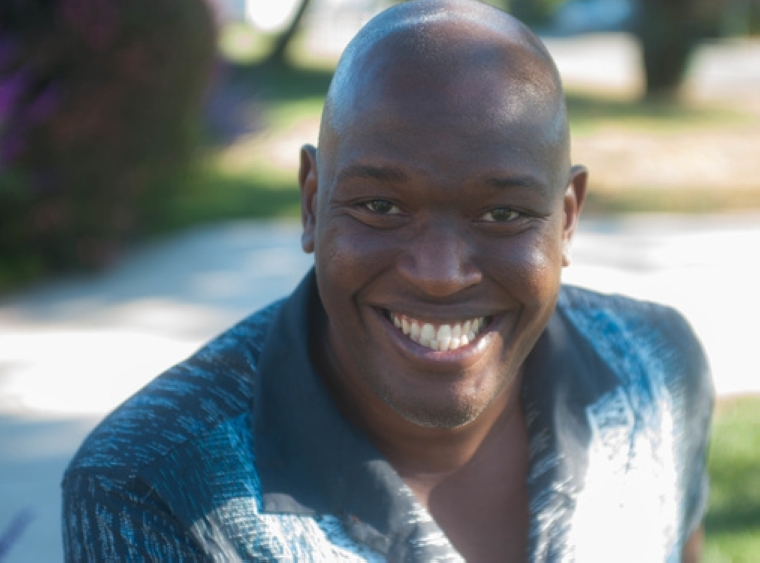 Dr. Grandison was the CTO/co-founder of EqualityTV, where he led the platform and technical strategy initiatives. Dr. Grandison has over 25 years experience in software engineering, security and privacy. His work in database security and privacy has been internationally recognized as pioneering and impactful. In addition to relational data privacy and security, he has created and successfully led research and product initiatives in RFID data management, privacy-preserving mobile data management, private social network analysis, text analytics and healthcare management systems. Dr. Grandison’s career started as a software engineer in Jamaica. He received a B.S. degree in Computer Studies (Computer Science and Economics) from the University of the West Indies in 1997, a M.S. degree in Software Engineering in 1998 and a Ph.D. degree in Computer Science from the Imperial College of Science, Technology & Medicine in London (2003). Dr. Grandison is an IBM Master Inventor, a Distinguished Engineer of the Association of Computing Machinery (ACM), a Senior Member of the Institute of Electrical and Electronics Engineers (IEEE), a Fellow of the British Computer Society (BCS), a Fellow of the Healthcare Information and Management Systems Society (HIMSS), has been recognized by FedScoop as "The Most Inspiring Up & Comer" in the US Government (2015), by the National Society of Black Engineers (as Pioneer of the Year in 2009), by the Black Engineer of the Year Award Board (as Modern Day Technology Leader in 2009, Minority in Science Trailblazer in 2010, and Science Spectrum Trailblazer in 2012 and 2013), by the Federal Computer Weekly as a "Rising Star" (2016), by the Institute for Education as "High Impact Presidential Innovation Fellow" (2016), and has received the IEEE Technical Achievement Award in 2010 for "pioneering contributions to Secure and Private Data Management". He has authored over a 100 technical papers, co-invented over 47 patents and written several books, including "Practical Privacy Protection Online for Free", "Trust Management Middleware for Internet Applications: Combining Trust, Recommendation, Risk and Experience", and "Cybersecurity Risk Assessment for Business".